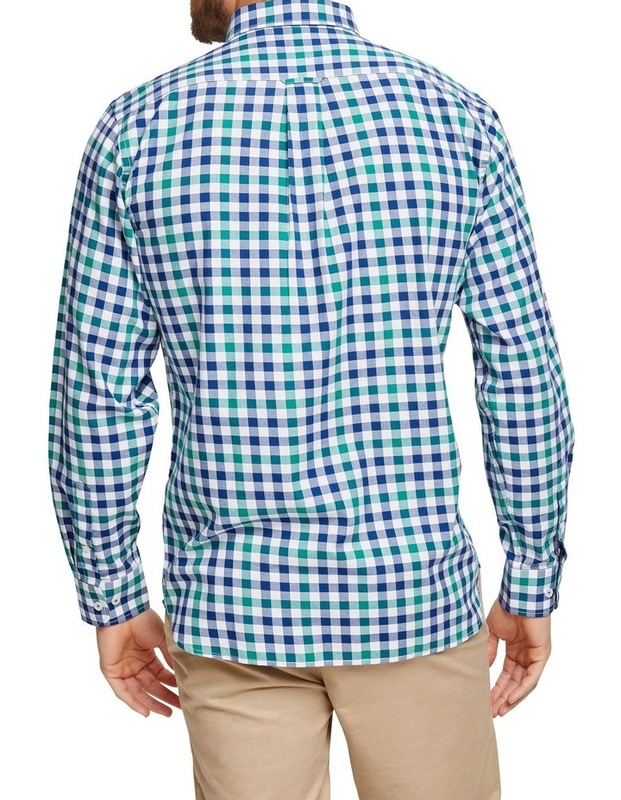 Made in 100% cotton the Travis Long Sleeve Shirt breathes and keeps you comfortable. 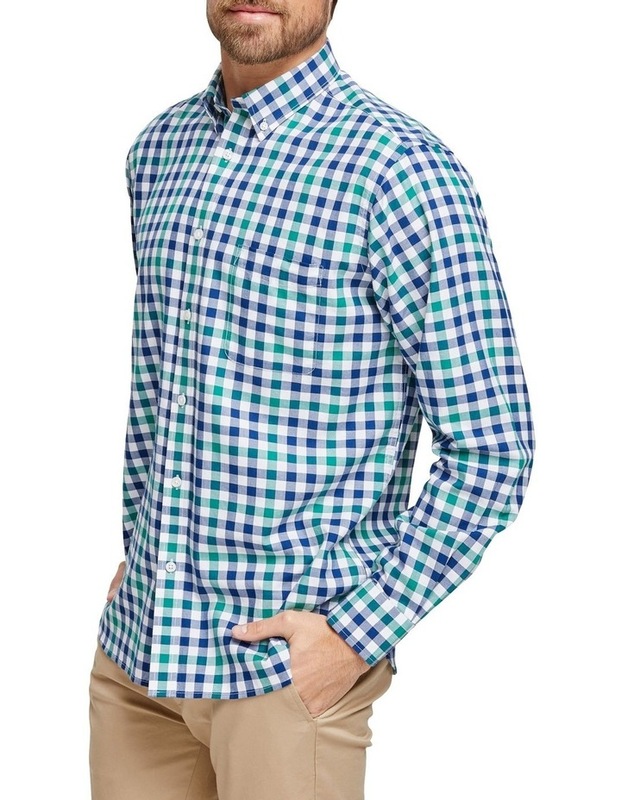 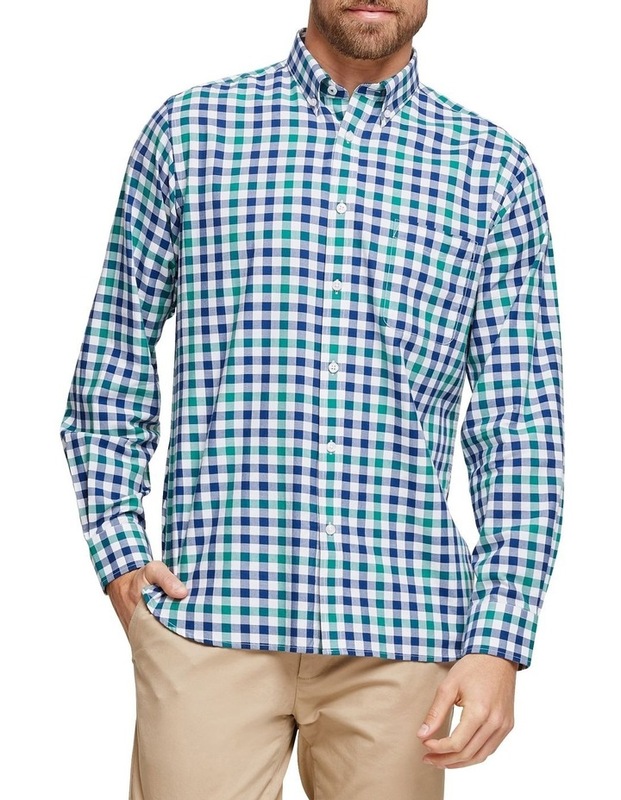 This blue and green check shirt features a button down collar, handy chest pocket, and is crafted in a classic regular fit. 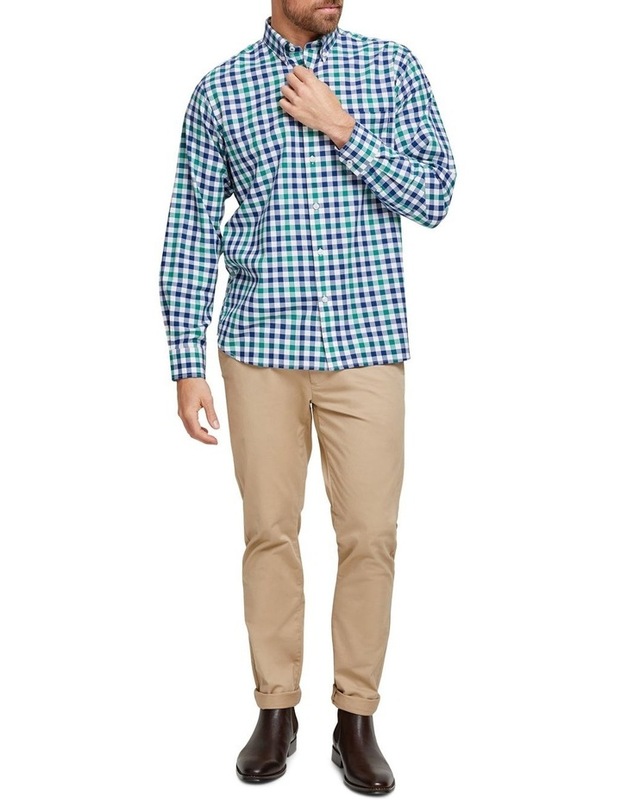 Ourmodel is wearing a size medium shirt, and usually wears a size medium/41 shirt.He is 183cm tall with 104cm chest and an 81cm waist.